EMS launches its operation for refilling service station management, fuel card management &3G wireless Automatic Refueling System. More to Come Soon …..
EMS has installed the first automated retail gas station management solution at Al-Khawaja Qalandia Station. EMS has finished integrating & installing its automated gas station management solution (X-Manage) at Al-Khawaja Byssan station. 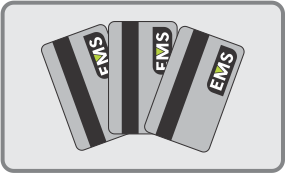 In addition to the system, EMS has integrated its solution to work with electronic banking cards (VISA, Master Card, and others). Also the system works with any other type of cards (e-business). EMS has finished integrating & installing its automated gas station management solution (X-Manage) at Ramallah old city station, which belongs to Petroleum Distribution Agency Company. Petroleum Distribution Agency CEO Mr. Suhail Jaber said that the Agency starts upgrading its stations in order to provide its customers with the best service available in the market. In addition to the management solution has been installed in the station, EMS will provide the Agency with the latest Automatic refueling solution. We at EMS are specialists in providing comprehensive services to fully support our clients in installation, startup and commissioning of service station management systems that provide our clients the confidence they require to optimize their overall economic efficiency while providing their customers the highest quality services. 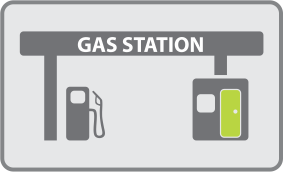 EMS provides a full controllable management solution for Refilling service stations. X-Manage is the most stable and flexible PC based comprehensive forecourt management system that integrates software, hardware & components to provide true solution for efficient management, control and real-time reporting of the forecourt activities. Fuel Card Management is an intelligence & comprehensive solution for refilling service stations. The core function is a secure & easy-to-use fuel payment service that empowers private & corporate fleets to track purchases & prevent unauthorized transactions. EMS Provides Fast, Reliable & Secure Wireless Automatic Refueling System (WARS) for refilling service stations. 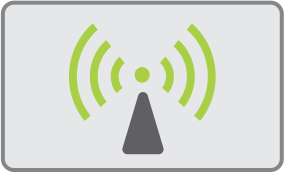 It is the most stable & flexible Wireless system available in the market. The system supports continuous, real-time fuel management over virtually any communication platform, which provides better accountability and system security.